If you google John Cirullo, literally every article or public mention of his name is connected to some kind of volunteer work and it’s hard to find an image of him without a group of folks he is either serving or serving with! John moved to Leadville from Pueblo in 1971. A few years later he opened Centennial Real Estate and ran it successfully until he retired in 2002. John and his wife of 47 years have 2 sons, 3 grand kids and 3 great-grand kids. 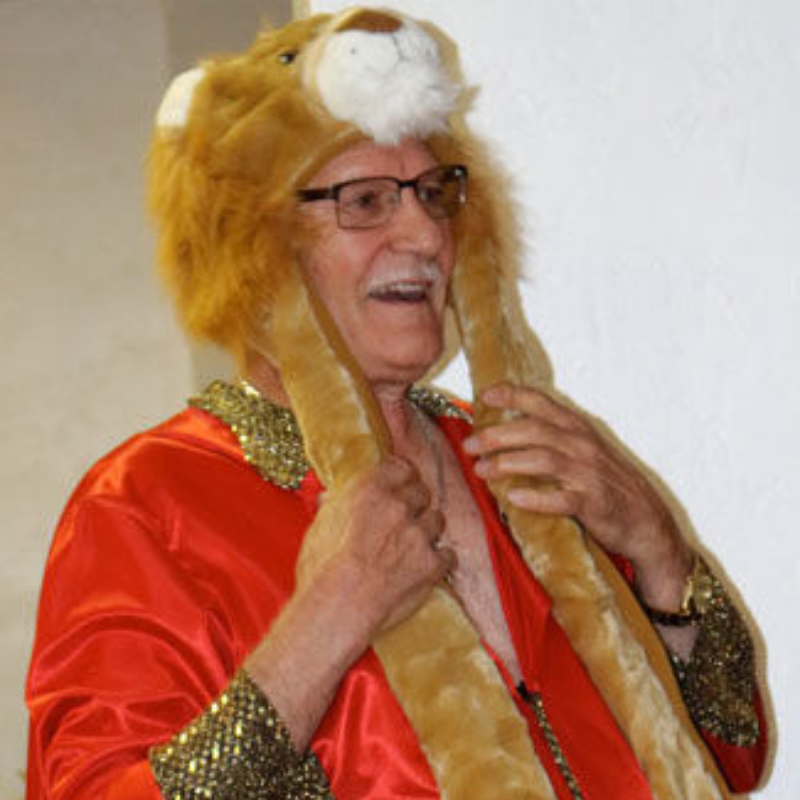 It is impossible to count how many local groups have been blessed by John’s support, but none more so than the Lion’s Club, where his membership has spanned almost 40 years and 3 terms as president. He has volunteered for literally every event in Leadville including serving on the Boom Days committee, the Leadville Loppet ski race, Skijoring weekend, the 9 Health Fair, Courage Classic, 4th of July fireworks, the Leadville BBQ, Victorian Home Tours and the Special Olympics. His volunteering is what first got John involved in the LT100 when he and his wife Joann ran an Aid Station in the very first Leadville Trail 100! Since then John, his wife & family have helped out with the races every single year! They have captained Aid Stations at Mayqueen, Winfield, Columbine and Carter Summit, packed, sorted and loaded race supplies into trailers, done traffic control and helped out at the start/finish line. Early on they did the cooking for the Silver Rush 50 and still run an aid station for those races each year. In the second year of the LT100 Run some over enthusiastic cheering and a boom box blaring ‘Chariots of Fire’ at 3am saw an angry mob of campers and the campground manager threaten to throw John and his boombox in the lake! Weird, but the following year the aid station was moved from the campground to Mayqueen! John’s love of Leadville and desire to serve his local community is immeasurable. As are the number of Leadville Trail 100 athletes that have been touched in some way by John’s efforts. Good thing he didn’t end up in the lake that night, or Leadville might have lost one of its finest volunteers.